19 Jan 2017 --- Nestlé is gearing up to bid for US infant formula and vitamin maker Mead Johnson, according to a report. There has been speculation that Mead Johnson, which makes Enfamil baby formula, could be a target for Nestlé for some time, as it would help it grow in Latin America and Asia. The report of the possible bid, reported in US title StreetInsider.com, can’t be independently confirmed. 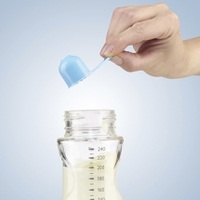 Nestlé and Mead Johnson did not respond to a request for comment from FoodIngredientsFirst. The report claims that Credit Suisse is advising on the potential deal, which could be announced as early as March this year. It cites its source as an individual close to the deal. Mead Johnson has an enterprise value of roughly $14.5 billion but it is unclear about the value of such a bid. Mead Johnson, which was spun out of the pharmaceutical company Bristol-Myers Squibb in 2009, had previously been a target for Danone. Mead Johnson, which makes over $4bn in annual sales, sells its products in North America, Europe, Latin America and Asia. The global retail market for infant formula is expected to reach over $80 billion by 2018. Nestlé, Mead Johnson and Danone are the three biggest players in the category. Shares in Mead Johnson were up 5.3 percent to $75.25 while Nestlé shares were down 0.2 percent to 73.55 Swiss Francs ($72.5) this morning. Last year, Nestlé appointed former chief of German healthcare Fresenius Ulf Mark Schneider as its new CEO in a surprise move. The appointment led to speculation that Nestlé could pursue acquisitions in nutrition and medical foods and shift away from its traditional food and beverage business.